As it happened, I stumbled across one through sheer coincidence and signed up, quite on a whim. It was the best decision I ever made. The workshop was held at uber-stylish Lyle's in East London and run by mega talented Jo Yee and Sarka Babicka, both professional London-based food photographers and bloggers. They also roped in Olia Hercules, a former head chef at Ottolenghi's (I KNOW, THE Ottolenghi) and now published cookbook author and food stylist in her own right. 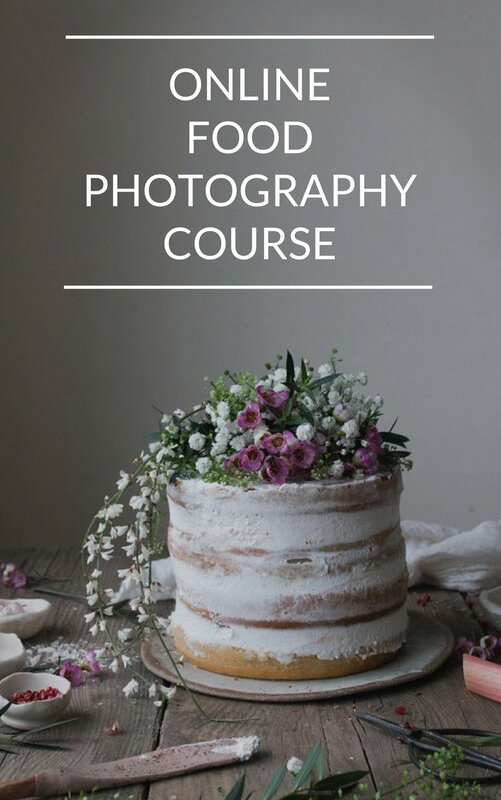 The three women were very generous in sharing their knowledge and experience as well as giving us lots of opportunity to practice our food photography skills. Consequently, it was a wonderful experience. 1. LIGHTING IS EVERYTHING – I'd read so much about how light affects food photography. But I never quite knew how it worked and why light made the food feel and look a particular way. More importantly, I didn't quite know how to control and manipulate the light to create the mood I was after. It was great to shoot in a completely different space and move around the food in a way that I normally don't have the chance to. Then take a picture at every different angle and compare. It was fascinating how the food looked different with side or backlight, neither of which I normally use. Jo also encouraged us to move a little bit further away from our light source. Meaning – most people, me included – tend to take pictures very close to the window/light source, but Jo was suggesting moving the food a foot or two away from the window and then seeing what happened. I'd always been too frightened to do that. But actually it created a different feel to my images, which I really liked. My own kitchen is flooded with light you see from lots of different light sources. It's why many of my pictures are over exposed. I like that look, but not always and the workshop gave me the confidence to pull slightly away from my light sources as well as try and take pictures at different times of the day and in different rooms in the house, thereby gaining more control of my light source and creating different moods. So here an example of a courgette salad picture I took exactly a year ago and a picture of the same salad I took following the workshop. Same salad, complete different look. The first one was taken next to a window and the sun was right on it, which is why some parts are over exposed and others aren't lite at all. The other one was taken on a cloudier day with backlight which I very deliberately chose for this shot. It's just much calmer and simpler and understated, which is what I wanted. (You can see more updated pictures of the delicious warm courgette salad and get the recipe here). 2. PRACTICE AND PATIENCE – I had this idea in my head, that professional food photographers just see food. Take one shot. Get it right immediately. And call it a day. Compared to the rest of us who take 100 shots and can only find 5 mages we like. Nope. It's not true. They experiment with things all the time, just like us. They move props. Then reposition the food. Change the angle at which they are shooting and try again. Because there is no magic formula and you just need to practice and have lots of patience. It's part of the process and the process is fun. 3. BE CLEAR IF YOU WANT TO PHOTOGRAPH WHAT IS OR WHAT YOU WANT IT TO BE – What on earth am I talking about? I'll take a salad I photographed last year to show what I mean. A perfectly honest salad. What do you do? You put it in a salad bowl. Toss it around. Serve it. That's what I did and that's what I photographed. Completely genuine. I think it looks vibrant, but you can't actually see the different elements in the salad and it looks a bit disorganised. In the second image I use the same ingredients, but I've styled it. Sure I don't actually eat like this at home, where things are pretty uncomplicated. But that doesn't always look so good on a blog post or on an instagram feed. So I edited and styled it to make it more appealing, showing what the salad is capable off rather than how we'd actually eat it. Make sense? (You can see more updated pictures and get the recipe for the exotic kale salad here). 4. LAYERS, TEXTURES, COLOURS AND PROPS – I can't begin to tell you how much fun it was to have a selection of backdrops available, bowls, cutlery, kitchen towels and stunning looking ingredients (did you see that crate of fruit and veg at the beginning of this post. Amaze, right?). Though I don't think you need so many props to make a food blog work, it does help to have a handful of simple and beautiful backdrops and props. Buy key pieces that are YOU and play around with them. I only actually have a few plates (mainly white or off white) and towels, which I use again and again. Example? Here you can see the same salad styled differently. We ultimately went for the softer, lighter more feminine look on the right. Which do you prefer? Isn't it interesting what a simple cloth can do? But it is not just about the props. The food can also bring in layers, colours, textures and interest. There is nothing wrong with an iceberg lettuce salad with white onions and olive oil, but it'll look a bit naff on a blog post. Whereas using ingredients that create movement and contrast are so beautiful to photograph, interesting to look at and utterly delicious to eat. Olia demonstrated this point really beautifully with the salad she styled. Lots of contrasting colours and textures and a Ukrainian plate that just worked perfectly. This point feeds into the last – do you really need to eat different coloured beetroot and differently shaped radishes? No, but it will taste scrumptious, be fun and look fabulicious. This list of lessons learned is by no means all we talked about, but these were the key messages I took away from the day that I really wanted to share with you :). 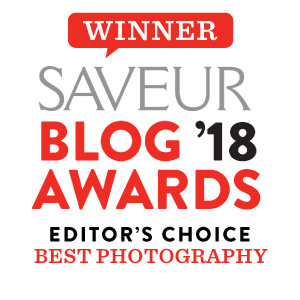 Now, I know that I'm not an expert after just one class and a year of blogging, but for those of you who feel stuck, I do hope this was helpful and that it will go some way in taking your food blog from 'good' to 'super' (ah back into first born mode...). I myself am so inspired by Jo, Sarka and Olia to keep working hard at making this the best plant-based blog I can and to keep pushing myself in all elements of food blogging. Thank you all for reading this long, long post. I hope it's been fun and helpful. First there's me lecturing on food photograhy and now I'm claiming to be able to make the perfect salad? I know, I might sound over confident today, but there is method in the madness. There is of course no 'perfect' salad, but I hope I can give you some ideas of how to create your perfect salad, putting into practice what I learned at the workshop and know about cooking. I've put in bold what we used for our salad displayed here, but feel free to create your own. Think about the salad as a whole and what would best fit together. 3tbs oil: olive oil, hazelnut oil, rapeseed oil, etc. Some crushed cumin or coriander seeds etc. Cook the buckwheat in some water with a pinch of salt. Boil the potatoes in water with a pinch of salt. Then pan fry in griddle pan until you get nice griddle marks (optional). Wash your greens, beetroot, radishes and chop the beetgreen stems finely. Prepare on a plate with the potato and buckwheat. Drizzle with olive oil and white wine vinager and a sprinkle of salt. Looking for more salad ideas? Just click here. And here you can read more about Food Photography.